I cannot think of a better visual explanation to illustrate just why it is pictorially a great idea to visit the same location on more than one occasion. I am forever hearing the passionate cry of "be original", well light and weather provide all the originality I need, it was snowing the previous day and a more different appearance you can barely imagine but for the record this was taken the previous night. 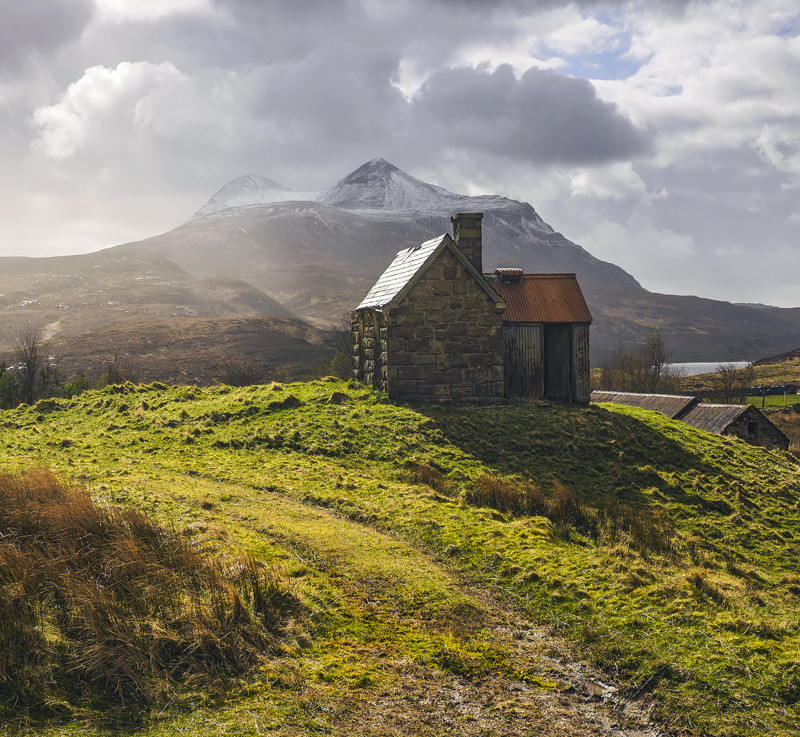 Here the Spring sunlight reflects off the roof backlighting fresh new grass and Cul Mor is visible snow capped beyond.